Stock Low : 135 items left. 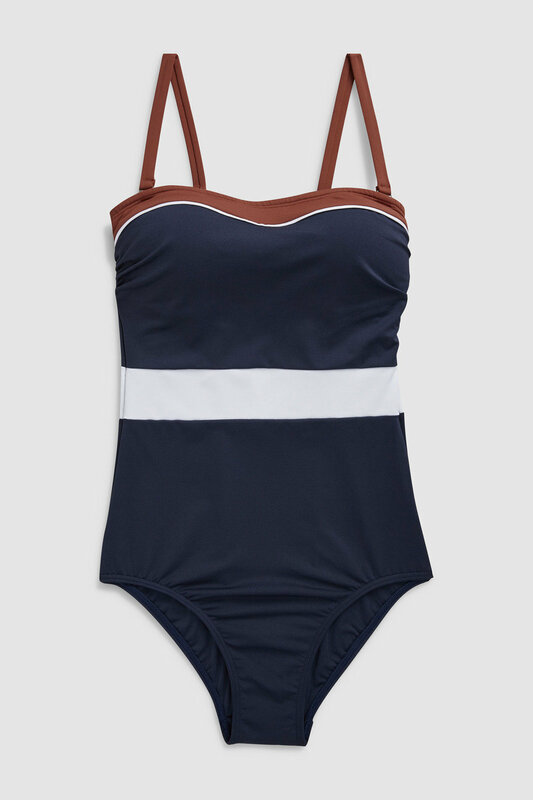 Create a flattering look with this bandeau swimsuit. If you like a little more coverage on the beach, this is the suit for you. Colourblock: Main 85% Polyester 15% Elastane Trim 85% Nylon 15% Elastane Front Panel 83% Nylon 17% Elastane Lining 91% Polyes.